Budget analysts for San Francisco raised concerns Tuesday over a lack of cleanliness across the city despite a soaring $65 million street cleaning budget. “It’s unclear what’s going on with the performance measures,” said Dan Goncher, Senior Manager for the city’s Budget Legislative Analyst Office, who addressed members of the Board of Supervisors during Tuesday’s budget committee hearing. “There are some concerns over the methodology," he said, adding that service requests for street cleaning have continued to rise over the past few years. Goncher questioned whether Public Works, which oversees street cleaning, should be allotted a permanent budget increase next year based on its track record. The department’s street cleaning budget has nearly doubled in just the past five years from $33.4 million during the 2012-2013 fiscal year, to $65.4 million in the current 2017-2018 budget. The surge in funding represents skyrocketing demand, argued top Public Works officials. In just the first eight months of this fiscal year, San Francisco has already surpassed the total number of street cleaning requests for all of last year, according to Public Works data presented at the hearing. In surveying 153 blocks of downtown San Francisco, the NBC Bay Area Investigative Unit revealed a dangerous mix of trash, needles, and feces. 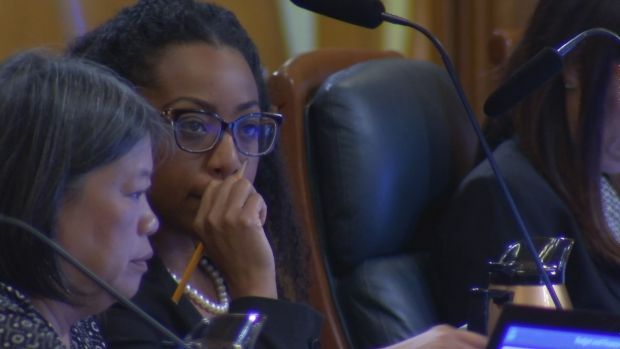 In hopes of determining how best to spend San Francisco’s $10 billion budget during the upcoming fiscal year, lawmakers dedicated the entire meeting to finding solutions to clean up the city. “This is the first in a series of hearings regarding those issues facing our city that the board has identified as priorities for this year's budget cycle,” said Malia Cohen, chair of the budget committee. 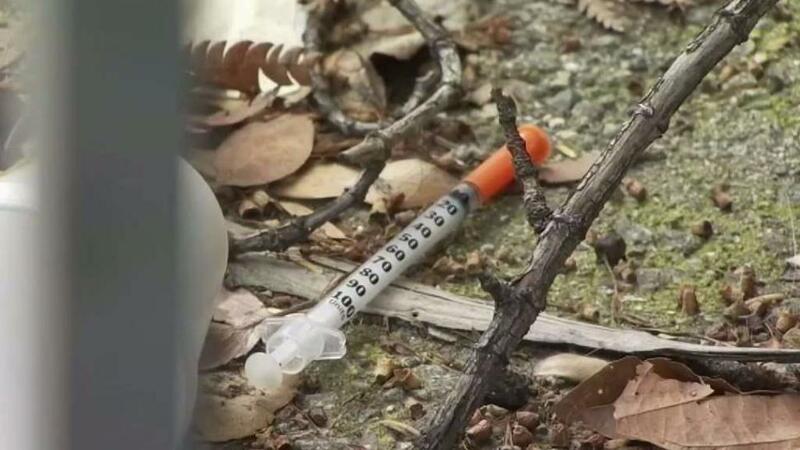 The hearing comes after the NBC Bay Area Investigative Unit recently exposed a potentially dangerous mix of trash, needles and feces scattered across parts of downtown San Francisco. San Francisco Supervisor Malia Cohen, right, is chair of the board's budget and finance committee. Upon Cohen’s request, members of the Board of Supervisors were recently surveyed about their top concerns. Dirty streets, homelessness, and public safety ranked among the top three priorities. The budget committee is scheduled to hold a similar style hearing on homelessness next Tuesday, followed by a hearing on public safety on April 26. Supervisors then plan on submitting recommendations to Mayor Mark Farrell, who must submit his final budget proposal to lawmakers by June 1. Tuesday’s hearing included talk of several potential solutions to San Francisco’s dirty streets, including paying for additional street cleaners, equipment, and public restrooms that are open for longer hours. “We've heard complaints about cleanliness, regarding everything from needles to human waste and trash and dumping,” Cohen said. In just over the past five years, Public Works has received more than 56,000 requests to clean feces off city streets. During public comment, residents and area leaders representing the business and tourism communities echoed the need for a clean slate.